Moons — also called satellites — come in many shapes, sizes and types. They are generally solid bodies, and few have atmospheres. Most of the planetary moons probably formed from the discs of gas and dust circulating around planets in the early solar system. So, enjoy a range of interesting solar system moon facts. 1. 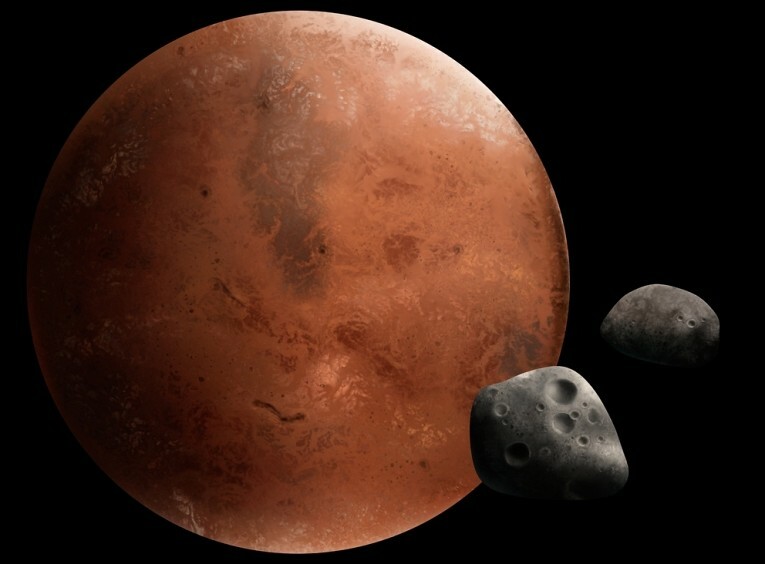 One of Mars’s moons, Phobos, appears to rise in the west and set in the east twice each Martian day (because it orbits Mars faster than Mars rotates) and it will eventually either collide with the planet or break apart to form planetary rings. 2. Mars’ smallest moon, Deimos, has an escape velocity of 5.2 m/s, meaning that if you were take a running jump while on it, you will launch off like a slow rocket. 3. In 1670, an astronomer calculated the speed of light solely by observing the orbits of Jupiter’s moon Io. He noticed differences in expected and observed traverses of Io based on Earth’s proximity to Jupiter. 4. Io, Jupiter’s nearest orbiting “Galilean” moon is the most geologically active object in the Solar System. 5. NASA deliberately sent its perfectly functioning Galileo spacecraft on a suicidal plunge into Jupiter in order to protect Europa, an untouched Jovian moon which might have extraterrestrial life. Very interesting and informative.Thank you.